We offer both companion and individual bronze grass markers (also known as flat markers or flush markers) in a number of different styles, shapes, and sizes. 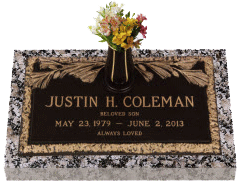 We also offer Crypt Markers (also known as Double Interment), Children's Markers, Veterans Matching Markers, and Pet Markers. 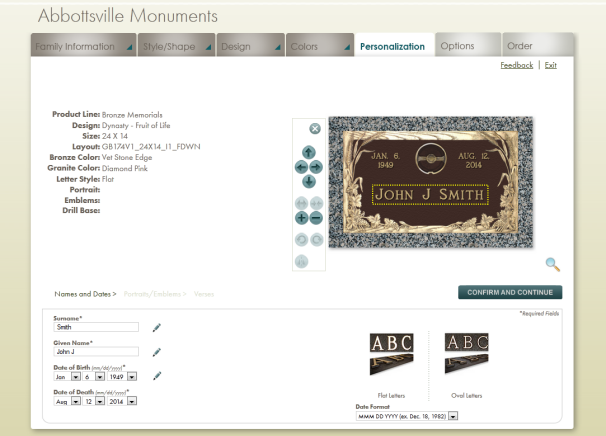 Each cemetery has it's own rules and regulations regarding type, shape, and size of markers so it is almost impossible to list pricing on this web page. However, we would be glad to give you pricing over the phone once we know which cemetery the marker will be installed in. Work with our design specialist right from your home using the telephone and our online design system! Click on an image below to see some of our designs.